Both the Falkirk Wheel and Kelpies are prominent in a new report which will do little to allay the fears of people about our canals. But the strategy document from Scottish Canals – issued after weeks of lobbying from councillors and boat-users – is at pains to avoid terms like “shutdown” and “closure”. In a phrase that will horrify many canal supporters it says the future “may not necessarily include navigation” – which many continue to argue was the whole point of restoring the waterways in the first place. But at the same time the document all but admits that if the Forth and Clyde were to become boat-free some or all of the time it would be a reputational disaster. As reported in the Falkirk Herald recently the canals body is pleading lack of cash when it comes to maintaining the infrastructure needed to keep boat traffic moving smoothly on the Forth and Clyde and Union Canals. Veteran canals campaigner Ronnie Rusack, chairman of pressure group Keep Canals Alive!, argues that without a radical change of approach some of the assets which form a cornerstone of Falkirk’s tourism efforts could end up becoming weed-choked and derelict. He has accused Scottish Canals of failing to fulfil its statutory obligations, and of putting at risk the brilliant achievements realised just a few years ago. With a large and sprawling network of assets to manage, including many which come under the heading of historic monuments, it’s argued an emormous repairs backlog is acting as a fatal drag on plans to keep the canals fully operational. Public safety is understandably to remain the most important consideration, but at the same time high priority for the operation of canals will go to Crinan in Argyll – a massive and established success which attracts yachtsmen from all over the UK. Now the Scottish Government is being attacked by opposition politicians who consider the “lack of cash” claim could be seen as putting the ball back in the SNP regime’s court. A protracted argument about how much money should be allocated to canals, and how it should be used, is on the cards. But how badly boat traffic will be affected on the local waterways which attract tens of thousands annually remains uncertain. Scottish Canals interim chief executive Catherine Topley talking about the general picture said: “Without additional investment, we will continue to see asset decline and asset failures - some of which may be substantial. Richard Millar, director of infrastructure, said: “Earlier this year, we were forced, as a result of safety concerns, to temporarily suspend boat transits through a number of bridges on the Forth & Clyde Canal. “The restrictions on the bridges eliminated any risk to the public and will remain in place until we can source the additional funding required to bring them back into use to ensure the continuedvibrancy of the waterspace. “We are actively pursuing all options”. Scottish Canals is responsible for bridges and canal paths around the country, putting strain on resources where multiple failures happen at the same time - but causing frustration when repairs hit delays or problems. At Auchinstarry the erosion of the canal wall by the towpath led to a partial collapse, discovered during a routine inspection. 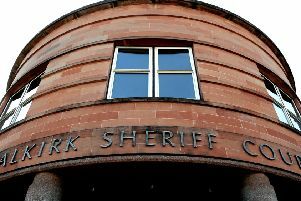 Initial investigations were undertaken on the site and further along the stretch of embankment between Auchinstarry and Twechar - and these disclosed further areas of potential failure which could cause problems in the future. Scottish Canals is currently trying to devise a long term plan for this particular stretch - but it is just one of the myriad assets in its care.